The term Fake News has come to prominence in recent times to refer to everything from sensationalist internet clickbait stories designed to generate advertising revenue to politically motivated propaganda masquerading as news. Often sophisticated satire and parodies are interpreted as serious stories and are shared on social media as if they were factual. 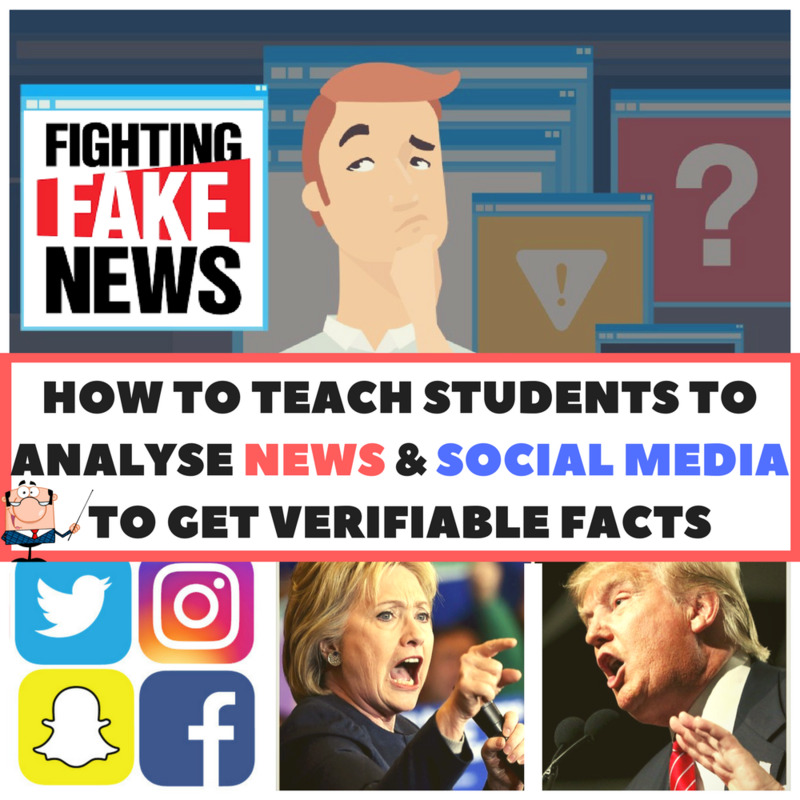 While there is no doubt that news has benefited from the instant access of the information age with such phenomenon as citizen journalism and 24-hour reporting, there are also some significant challenges that arise that make it more necessary than ever to inculcate critical thinking skills in our students. Just What Are Critical Thinking Skills? The term critical thinking generally refers to the ability to think clearly and rationally about something. It is a necessary process in formulating an informed independent opinion. Without critical thinking skills, students won’t get beyond the memorization and regurgitation of facts and figures and will be incapable of independent thought leaving them vulnerable to manipulation by misinformation and lies. Critical thinking skills require students to analyze, evaluate, interpret and synthesize information. Practising these complex processes in the classroom enables students to apply their own creativity to problem-solving and conclusion formation. Often during the prewriting for an argumentative essay we teach our students to weigh up the pros and cons of the various arguments. The Pro / Pro Chart is a twist on this familiar process that encourages flexibility in our students’ thinking. However, instead of choosing between the two opposing poles, this approach encourages students to identify the positive aspects of the differing viewpoints, before merging these positive qualities into a third option containing the positive aspects of both. Rather than focusing on the weaknesses of an opposing point of view, say as in a traditional debate, the Pro / Pro approach challenges students to dig down into the opposing viewpoint to find the merits that lie therein. This can be undertaken as a whole class activity. Start by choosing what seems like a bad idea, say, for example, a restaurant without seats or a roof. Have students brainstorm how this could be a positive. You may be surprised at some of the creative ideas you get back, such as faster turnover of customers, serving those in a hurry, starry views at night etc. This activity teaches students the importance of not dismissing ideas out of hand without close examination. The tendency to disregard things that do not fit our expectations is very strong. This activity shows students that on closer examination we can often find merit in even the most ostensibly worthless of ideas. Similar to the activity above, Playing Devil's Advocate gives students the opportunity of seeing things from other perspectives. It involves students role-playing a point of view they are opposed to. To start this activity off list a few controversial statements on the whiteboard suitable for your age group and demographic. Instruct the class to divide according to how they feel about the statement. Those who are ‘for’ the statement go to one side of the room, those against go to the other side. Then, inform students that they will have 10 minutes to prepare arguments in support of the opposing view to the one they have expressed. Students can either do this individually or collaborate in groups. This activity can also serve as a useful preparation activity for a later formal debate. Originally developed by the Toyota Motor Corporation to identify problems in production systems, The Five Whys is best illustrated by example. First, think of a simple problem to investigate as a group. The Five Whys will help you drill down to the root cause of the problem and suggest a solution by working back to the cause through a series of effects. Problem: Tony is always tired at school. Reason: Because he doesn’t get enough sleep. Reason: He goes to bed too late in the evening. Reason: He doesn’t finish his homework until 11pm. Reason: He doesn’t start it until 10pm. Reason: He watches TV all evening. Solution: Tony should do homework before watching television. This process can be applied to a wide variety of problems, whether practical or intellectual. The number of ‘whys’ is not fixed at 5 either, the question can be repeated and explored as often as is needed to get to the root cause of the problem and until a viable solution becomes apparent. This group activity engages the students’ critical thinking faculties along with their problem-solving abilities. It is based on the survival scenario of being marooned on a desert island after a shipwreck. The group can choose 5 items they are able to salvage from the wreckage to help them survive, or to secure their rescue. The number of items can be modified depending on time availability and group ability. Students must discuss the relative merit of the different items suggested and negotiate with each other to get the list down to the set number of items. Some hard decisions are required to be made and this can often lead to very engaged and lively debates. At the end of the activity period the group can present their list to the class and compare their decisions with the decisions made by the other groups. This activity lends itself to easy differentiation too. You can ask groups to not only list a certain number of items, but also to rank them in terms of importance. You can also change the environment which will throw up a host of new problems, for example, a plane crash in a tropical jungle. Text is not the only means of communicating information and so it is important students develop the ability to apply their critical faculties to the interpretation of imagery too. In this activity students view a photograph or picture projected on the whiteboard at the front of the room. They are then given a worksheet with the question “What is happening in this image?” written at the top. After viewing the image closely for a few minutes, students answer this question in a sentence or two outlining what they believe to be happening. In the next stage, the students answer the question, “What lead you to your conclusion?” Instruct them to write down the steps that led them to form their opinion. Tell them they must list all the evidence from the image that led them to their conclusion. This activity helps students to think clearly about the steps they follow in forming their opinions. It encourages them to think about their own visceral responses to images by asking them to verbalize those responses. It also reinforces the importance of basing opinions on evidence. This activity is easy to modify for different age and ability groups by choosing the image judiciously. How Critical Are Critical Thinking Skills? The importance of thinking critically is widely recognized in a broad range of curricula. It is, for example, given a position of central importance in the Common Core Standards and is represented as the compulsory subject Theory of Knowledge in the IB curriculum. It is also a part of the national curriculums of all the English-speaking world..
To move beyond the mere memorization of facts, students must possess the ability to critically assess the information they are exposed to not only to be adequately prepared for university, but for life beyond academia. With the rapid pace of change in this technological age it is essential that students develop skills that allow them to creatively adapt to working environments; the shape of which it is impossible for us to predict. Bringing critical thinking to the classroom helps students achieve all of this. Not to mention it’s a lot of fun besides!